Forklift drivers are some of the most important employees for warehouses. But they’re not the only employees. Warehouses employ all sorts of roles, from forklift drivers to safety experts and more. What are the different types of forklift jobs available, and what kind of tasks do they do? 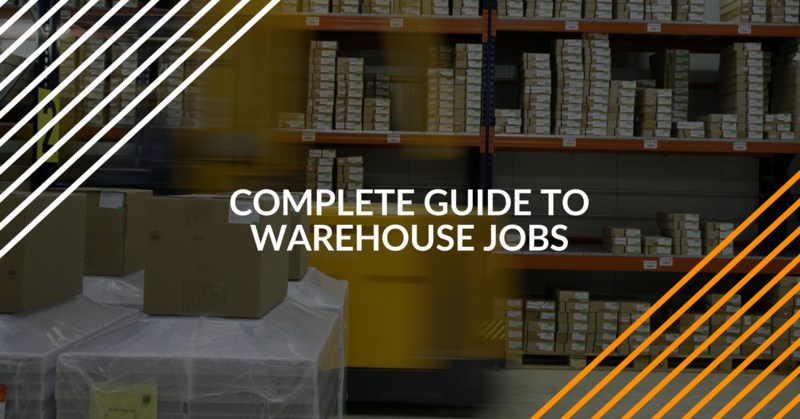 This blog post will look at some common warehouse job titles, along with what their day-to-day tasks involve. FLC offers safety training for all types of warehouse forklift drivers, including safety trainers and more. But first, let’s look at a few warehouse job statistics – the huge number of people that work in warehouses across the United States might surprise you! According U.S. Department of Labor’s Bureau of Labor Statistics (BLS), there are about 4 million “hand laborers and material movers” employed in the United States. These workers include cargo handlers, forklift drivers, and other employees associated with warehouse work. The BLS also keeps track of warehouse jobs. Their latest statistics show an additional one million warehouse employees in the U.S., with steadily growing numbers. For example, the BLS expects more than a quarter-million material movers to be added on a yearly basis throughout the next decade! Combine those two groups, and there are more than 5 million workers associated with warehouse work across the country. Not all are forklift drivers, of course. Some work in support roles, human resource jobs, safety compliance, and other roles. With so many warehouse employees, we thought it would be a good idea to categorize the different types of warehouse workers, and also let you know which ones require OSHA certification. Out of those 5 million warehouse workers in the U.S., these are the most common jobs. How do all those products at your local grocery store end up there? You can thank order pickers for making it happen. Most retail products (including grocery) are stored at regional warehouses, within driving distance to a group of stores. Whenever these retail centers need more products, they place their “orders” to these warehouses. This is where order pickers spring into action. These warehouse employees typically use pallet jacks to fulfill store orders. Order pickers collect products on pallets, then secure the cargo for transport. These products are then shipped to stores. Since order pickers use pallet jacks (a type of powered industrial truck, as defined by OSHA), they require OSHA certification. From loading trucks to moving new cargo into storage, shipping and receiving workers are responsible for all the cargo coming into and leaving warehouses. Some shipping and receiving employees are responsible for product management – where to store cargo, making sure the products are properly rotated (important for grocery warehouses), and other similar tasks. Other shipping and receiving workers are involved with moving, organizing, and storing pallets and cargo. If a shipping and receiving worker uses a forklift, they need to have certified training. This office job helps everything in the warehouse run smoothly. Clerks keep track of inventory, help coordinate shipments, and help generate orders for order pickers (see above). Since this job usually doesn’t involve heavy machinery operation, OSHA certification isn’t necessary. However, if you’re a warehouse clerk looking to improve your job profile, it’s always a good idea to receive OSHA-approved safety training. You never know when you might have to operate a forklift! Maintenance workers ensure all the equipment in a warehouse is working properly. This could be anything from the HVAC system to the forklift fleet. While most maintenance employees don’t require OSHA certification, any worker that repairs forklifts may require training. For maintenance workers that deal with electrical systems, it is recommended to check with the site supervisor for specific OSHA requirements. This warehouse worker helps load trucks leaving a warehouse. One type of load is a store order heading out to a local retail center, courtesy of the warehouse order picker. Most loaders use powered pallet jacks, so they are required to have OSHA certification. Loaders can also use other machinery (forklifts, hand-operated pallet jacks, etc.) in their regular duties, so safety training is important for this warehouse job. Warehouses can be dangerous places. It’s the job of the safety coordinator to help ensure all employees follow OSHA safety standards and are trained to operate forklifts, pallet jacks, and other equipment as safely as possible. This specialized role demands OSHA certification because the safety coordinator has to be aware of any changes to OSHA safety regulations. ForkliftCertification.com offers a related course that can help all warehouse safety coordinators: our Train a Trainer course. Contact Us Today for Forklift Safety Certification! If you’d like to obtain warehouse job, it never hurts to have the latest OSHA safety training. At ForkliftCertification.com, we specialize in forklift training. Our Training Kit, Train a Trainer, and Bundle Package courses are perfect for beginners and experienced warehouse employees alike! Click here to get started today, or call FLC if you have any questions. Our number is (888) 278-8896. Thanks for visiting and good luck with your warehouse career!